National Eating Disorders Awareness Week is an international awareness affair, and Grand Valley State University is participating with this 19th annual event to promote a healthy body image in its own community. Through a combined effort by Campus Recreation, the Center for Women and Gender Equity, the University Counseling Center and Campus Dining, the Love Your Body Week 2019 will take place Monday, Feb. 18 through Thursday, Feb. 28. The programs this week features aim to educate students about positive body image, the media’s influence on body image, healthy eating habits and more. Some of the events include free group exercise classes, cooking demonstrations, Body Positivity Bash and eating disorder screenings. The 2019 theme of National Eating Disorders Awareness Week is Come as You Are, which focuses on the current efforts of inclusivity in the greater eating disorder community. This theme shares the message to all individuals at any stage of body acceptance and eating disorder recovery that their stories and experiences are valid and important. The goal is to start conversation among communities that are usually stereotyped as not ones to normally struggle with eating disorders. According to the National Institute of Mental Health, college students are most at risk for developing eating disorders, such as anorexia and bulimia, due to the challenges and stresses of college life and being away from home for the first time. The goal of Love Your Body Week is to not only teach students how to develop a healthy body image, but also to raise awareness in students about resources available on campus to help them on their journey to self-love. “We hope that Love Your Body Week will raise awareness about what positive body image is, the resources that are available and foster communities that will aid in creating support for students,” said Assistant Director of Fitness and Wellness for Campus Recreation Amy Campbell. If you or someone you are close to is struggling with an eating disorder, Campbell recommends reaching out to the many resources available at GVSU. This National Eating Disorder Awareness Week has been advertised using the line, “Come as you are, not as you think you should be." The event is a reminder that students need to find happiness within themselves, not in the social framework that has been created for them. 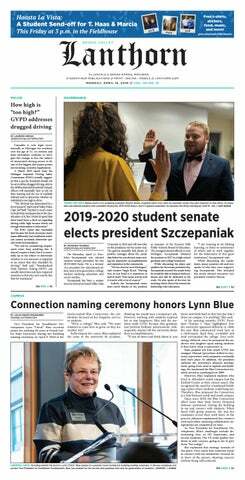 “This week is important because it allows individuals to recognize the importance of body positivity, which includes taking time to focus on and appreciate one’s body and all the wonderful things it can do for them,” Cupples said.